Get the job done! 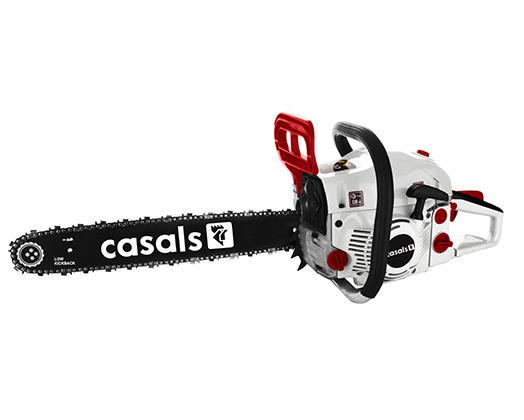 Casals presents the 52cc Petrol Chainsaw. A powerful 52cc, aircooled two stroke engine with 18'' cutting bar. Its lightweight feature makes it easy to cut through any timber. It has automatic chain lubrication and emergency chain break system. Engine oil tank capacity: 260ml.